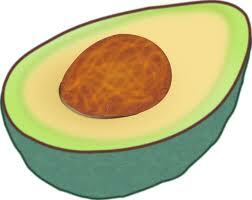 This week Food on Friday is all about the avocado - yum yum! How do you like your avocado best? Do you like it cooked? What flavours are your favourites to combine with it? Just put a link into Mr Linky and we'll soon have a nice collection of ideas. It would be great if you remembered to put the name of your dish along with your own name in the name space. Looking forward to this week's round-up for some new recipes for avocado. Big favorite here! There is a really cool recipe I tried yesterday with avocados and mariscos. Basically I halved the avocados and filled them with a couple of teaspoons of Mariscos in spanish sauce. Thats easy to make: in a skillet with a couple of tablesppons of olive oil fry/reduce a slice of onion, a cut up tomato, a handful of chilli pequins or a serrano pepper; then cook the Mariscos (combination of shrimp, mussels, squid, octopus, clams) for a few minutes. I somehow messed up the linky :( didn't get the name of the dish on it. Thanks for stopping by my blog and inviting me to join in your link up. I adore avocados, but lately my daughters gobble them up, before I get a bite. Thanks for hosting Food on Friday!! Love avocados! The avocado egg salad I liked up is delish - can't wait to check out the other recipes... thanks again! MMM avocado!! Definitely one of my favorites. I'm going to have to check out these recipes!! My submitted recipe is a bit spicy but the avo totally cools it down. Totally posted the wrong recipe first time around... the plugin was automatically populated and I just hit Enter... Sorry about that, I added the correct recipe! Thanks again for hosting! I think I've got it! Remember that the credit is not mine, but the link is on my post for who deserves the props. Thanks for inviting me to link up my quinoa and avocado salad! Thanks for the invite ! Though, my link has not gone through and now you have 2 entries with only my name -sorry about that, hope it'll show later. Thank you for inviting me to link my recipe. 3 Busy Bees has a ton of recipes. A chocolate pudding using avocado also. Check it out. Not sure I have anything for this week. Love these themed collections. I didn't have my glasses on when I posted it the first time...ooops Carole... ha! I got tons of old avocado recipes. i have an avocado recipe on my blog this week as well. I posted a second Avocado recipe that is a classic from my working with a chef from Provence days. I had to do a final edit on this old recipe. This is the avocado and crab bomb, Carole! Ha! I love avocados in any form! This sounds like an interesting list. Thank you for the invite! Please enjoy my Summer Salad. Have a great week! Hi! I put the wrong name in the first time. I put my name. I did link up my Southwest Quinoa Salad. I always feel like I am doing it wrong though. lol! Your blog link up is a little different than some of the others. Let me know if it posted okay. Thank you so much! Wow, such an assortment of recipes with avocado. Thanks for the invite! This is a fun party idea...thanks for hosting! HI Carole, Thanks for the Invite, I thought the event must have been closed, Glad it is open for the whole week. I have linked up all the Avocado Recipes from my collection. Carole, excuse my blonde moment. I put my "blog" link up in theat first one so can you take that down. I also didn't realize you wanted the recipe name posted and not mine. Sorry. I have been up very early doing overseas web classes this week. Let me know if I need to re-post. I am your "problem child." LOL. Check out this link for Avocado Friday! I linked my avocado milkshake and hearts of palm salad! Love that you made a pinterest board for these!! All of them together look great. I'm going to follow the blog!